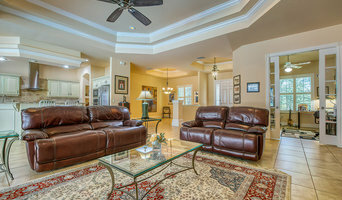 Prime Home Photos LLC specializes in real estate and aerial photography in the West Central Florida area. Some of our specialties include 360 degree virtual tours, walk through videos, slide show presentations, as well as aerial videos. Fully licensed and insured. 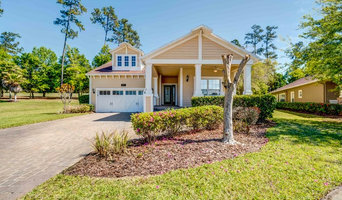 Prime Home Photos also is a FAA Part 107 Certified Drone Operator and has a current FAA waiver to operate within 5 NM of KBKV (Brooksville/ Tampa Bay Regional Airport). We offer quality photography, fast turn around times, and competitive pricing on all of our services. Tampa based, RiMo Photo ,LLC, offers full service architectural, real estate, and product photography services to design professionals, real estate agents, property and facility management companies, product representatives, and the construction community. I hold both a Masters Degree in Architecture and a certificate in photography from the University of South Florida. 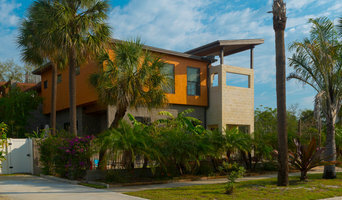 In addition, I am a licensed architect in the state of Florida and LEED AP BD+C. My knowledge of architecture and the design and construction process allows me to better understand my clients' vision and project requirements (both the technical and aesthetic). We provide a wide variety of photography and marketing services without the sticker shock. I do all that I can to make the house shine in the best light possible. This will help the home sell faster and most often at a higher price. It is my job to provide you with quality photographs. This is done not only with professional equipment and processing but also with an eye to aesthetics. Specializing in architecture and interiors photography, we are able to depict your space in its best possible light. Our images are tailored towards professionals who are in need of thoughtful, high quality photographs of interior and exterior spaces for their marketing campaigns. We specialize in real estate, architecture, and interior design photography for clients who are looking for beautiful images of their space. Whether you are an architect showing off your latest development, an interior designer showcasing the details that make you stand out, or a real estate agent trying to make sure the homes you sell are represented professionally, our images will help you have that extra edge needed in today's visual society. Lisette's Photography has been serving the Florida area for just 3 years but has experience serving the Mississippi Area for 5 years. Lisette is a graduate of Belhaven University with a Bachelors in Art. Affordable High-Quality Real Estate and Architectural Photography. 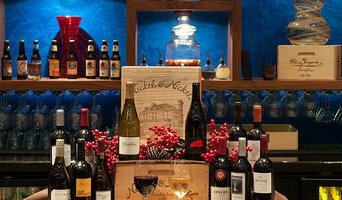 Our services include: Twilights, Architectural, Aerial, Product and Food Photography. We take pride in doing things the right way. Firelight Images is an affordable, professional photography business that specializes in real estate, commercial and resort photography. We are based in Asheville, NC and Tampa, Florida. Our clients appreciate our outstanding customer service, fast turn-around times and attention to detail. Over 24 years of professional media experience including broadcast and corporate video and radio. Featuring high end photography services for real estate, hotels / hospitality, restaurants, bars and more. We take the time to understand our customers needs and deliver them the best solution for them. We always show up on time and complete the work on schedule and on budget. We provide licensed photographs to real estate agents for use in their marketing campaigns. Before you call any potential photographers, make sure they have good references. Friends who've sold or rented homes before are great resources, as are local real estate agents. Look through each Florida photographer's online portfolio to make sure what you're looking for is being offered. Once you've done that, it's a good idea to walk around your home and write down exactly how many and what types of shots you'll need. Include any specifications you might have, such as angles, things to consider about your home’s Homosassa Springs, FL site, the time of day you think will be best and aspects of your home you want to highlight. Find a home photographer on Houzz. Narrow your search in the Professionals section of the website to Homosassa Springs, FL photographers. You can also look through Homosassa Springs, FL photos by style to find a room you like, then contact the professional who photographed it.